The Dallas Mavericks finally played a decent game against a tough opponent, but it did not equal a win. 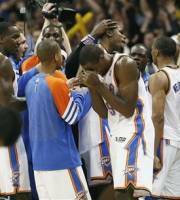 After Vince Carter hit a three pointer with 1.4 seconds left to give the Mavs the lead Kevin Durant did his magic. 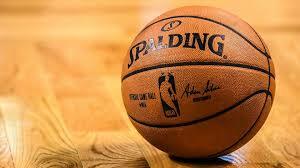 Durant hit a three pointer as the buzzer went off to give the Thunder a 104-102 over the reeling Dallas Mavericks. It was a tough loss for the Mavericks to take, but one they will learn from that;s for sure. Even though the Dallas Mavericks are 0-3 there should be no panic in Big D. People need to remember that the Dallas Mavericks are a different team, and do not have the same players when they won the NBA Championship. It is going to take some time to gel and find rotations that work for them. They will be fine as they have a lot of talent on the roster. They are also poised to grab some free agents in the future as they have cap space. Look for Dallas to get that win real soon and start improving game by game.